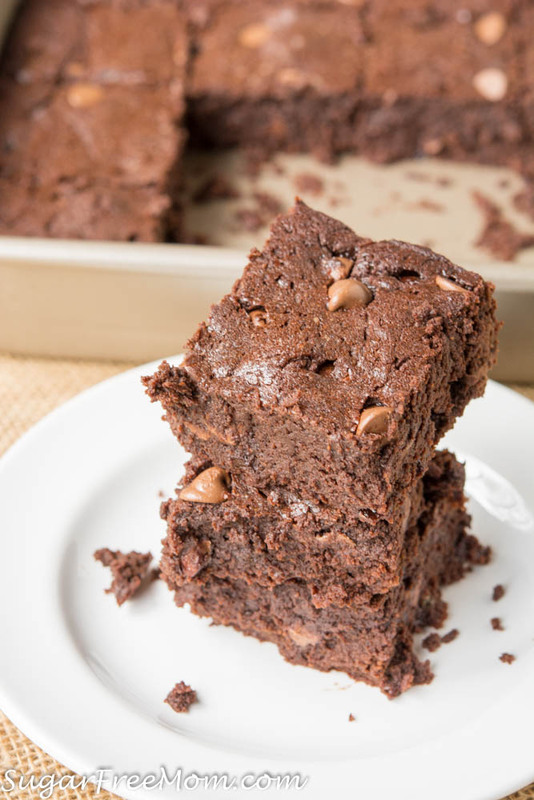 These Sugar-Free, Low Carb, Nut Free and Gluten Free Brownies are Fudgey, gooey and rich in texture! 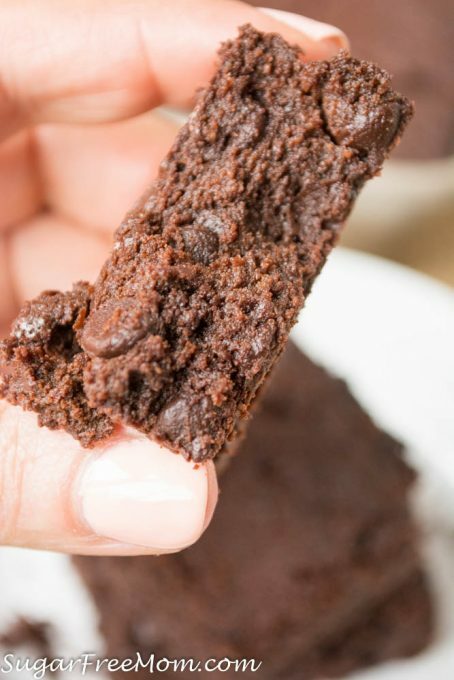 These are everything you’ve always loved about traditional brownies but made healthier and allergy friendly! 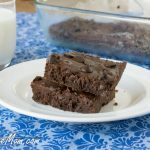 Sinking your teeth into a fudgey, gooey, melty, chocolatey brownie can be one of the most sinful indulgences, but it doesn’t have to be when it’s a low carb dreamy recipe! Living a sugar free life style for the last 13 years has not been easy. I’ve had to re-create many traditional recipes through trial and error simply because there just wasn’t a whole lot of options out there. Sugar-Free baking was pretty much not existent, and finding a delicious brownie recipe was hard to come by. 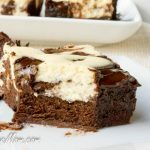 I do have this fabulous Cheesecake Brownie which is low carb and sugar free, but it’s a bit more work than a typical brownie recipe. I felt I just didn’t have a Go- To Brownie recipe that was low carb and sugar free and didn’t require too much effort. So I’ve been working diligently over many weeks and many trials and errors to perfect the BEST BROWNIE RECIPE you will have need or want! When I did my research of what really make s a traditional brownie chewy, gooey, and fudgey the basic ingredients are adding an egg yolk, brown sugar, oil and under-baking, not baking the recipe to completeness, letting it come out of the oven when it’s really not quite done. 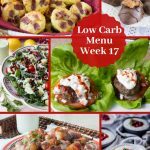 I knew I could make it happen for a low carb/sugar free girl like myself and I did! 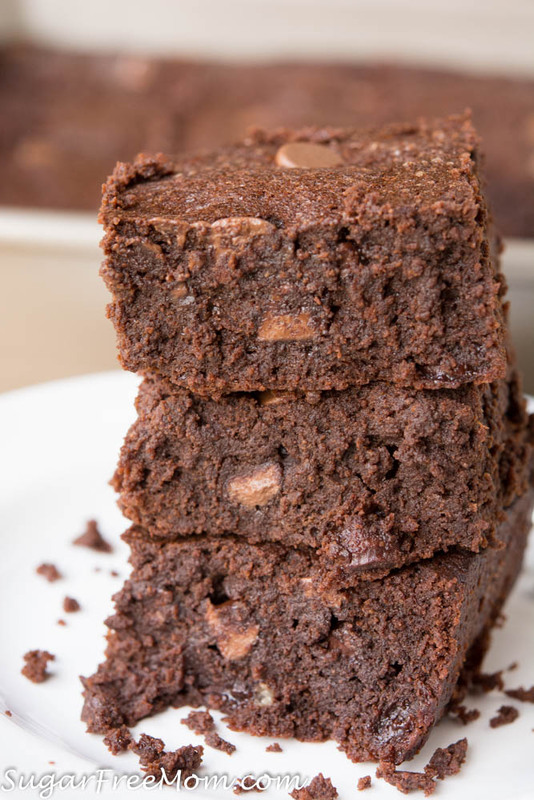 Meet the fudgiest, low carb, sugar-free, gluten free and nut free gooey brownie you will ever have! 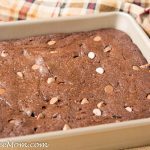 The extra sugar free chocolate chips are completely optional and do not make or break the fudgey texture of this brownie, but do add that extra something special that really can’t be beat. I can’t imagine a life worth living if I couldn’t indulge in chocolate and have a delicious chocolate brownie every once in a while! These brownies make living a sugar-free and low carb lifestyle- manageable, doable, sustainable and rewarding in every sense of the word! You can use any chocolate you prefer. Lily’s Sweets linked below is sweetened with stevia and that’s why I like them. If you don’t have chocolate liquid stevia, vanilla would also work here. If you don’t have Sukrin, I would highly recommend getting some, it is a perfect brown sugar replacement and all natural. Please weigh your measurements, it makes a huge difference in the outcome and texture. Instant coffee is added because it enhances the rich flavor of chocolate and does not add any coffee taste at all. 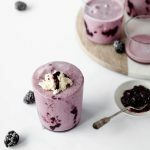 I linked below to the protein powder I used below, you can use whichever you like but I do not recommend leaving it out. 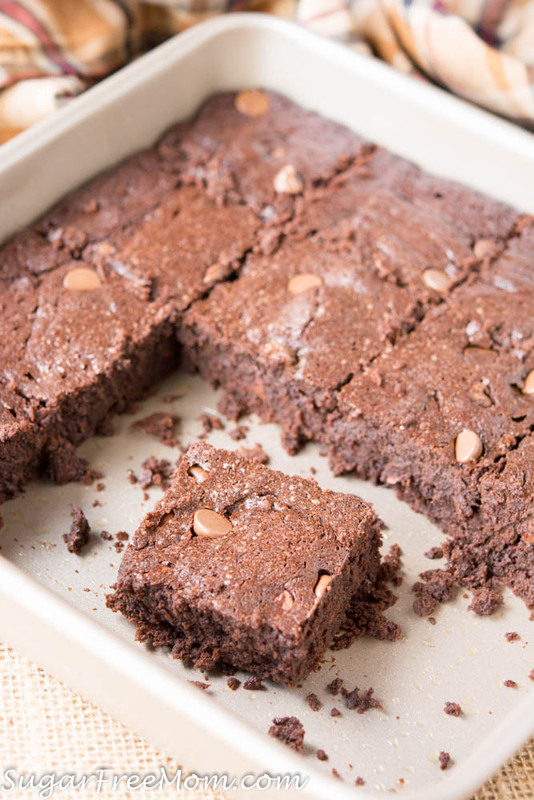 It provides what often gluten helps do in recipes, provide that chewy texture and makes the surface of the brownie look like traditional brownies. I can not recommend switching out the coconut flour for almond, they are not interchangeable and require different amounts of liquid. 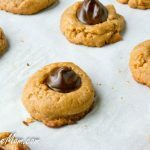 I have made this recipe over 4 times and did not try it with almond flour because my youngest would be eating it and he has a nut allergy. You can sub the oil with another oil or even replace with butter, but fair warning, I’ve made this without oil and all butter and it’s not as gooey and fudgey. Add the oil, eggs, yolk, vanilla extract, stevia and cream to a stand mixer and mix until combined. Slowly pour in the melted chocolate while the mixer is on low speed. Stir in the optional chocolate chips if desired. Line an 8 by 8 pan with parchment paper or grease pan. Pour in batter and bake for 25 minutes. It might look underdone but it's best to take it out before it looks done to achieve that gooey texture. Best if enjoyed the same day although storing in the fridge, covered, will keep it well for the next day. Oh, these look so good! But, I must be dairy free. Can I sub the butter for more oil? and can I sub the cream for something else, like coconut milk? Yes I think you can sub the butter for oil and yes to the coconut cream. OMG! I love you….or chocolate or both LOL. What can be substituted for the SF chocolate chips? I need to be sugar-free or as close to it as possible but I can not afford $7 a bag for SF Chocolate Chips. You could use an 80% dark chocolate bar and break into pieces. Very low in sugar and carbs. Hershey makes a sugar free chocolate chip that can be found at most grocery stores. They run about 3.00 a bag. I use unflavored protein powder and don’t have any of the chocolate. Is there something more I should add to the protein powder so that my brownies will be just as chocolatey? No I think it will be ok. The taste, great, It was too loose and gooey to cut after it cooled. Used your exact measurements, no substitutes. Don’t know why yours looked so good. Did you weigh the dry ingredients? I measured all the ingredients correctly. I only subed unsweetened bakers chocolate for the chocolate chips. My brownies came out with so much oil on top it was like boiling and frying it. It was a hard greasy brick. My question is you have 1/2 c oil. Should it be 1/4 c oil instead? I so surprised that happened. I did use 1/2 cup oil. But I’m wondering, you say measured, do you use a scale to weigh your dry ingredients or are you going by the cup measurements? I measured the cup or 1/2 c just like the recipe called for. I have a kitchen scale. Should I measure instead of going cup by cup? I learned a trick about adding the cocoa powder to the melted butter to let it absorb. 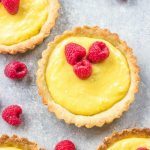 Also from working with coconut flour, I’ve learned to let the batter rest 10 minutes – either in the mixing bowl or the pan – before putting in the oven. Sometimes these GF ingredients need time to hydrate before performing well. Lilys sweets and chocolates are a disaster for us! I hear so many people claim they’re sweetened with Stevia, but, thats not the truth! They’re not just sweetened with Stevia, actually, they have a tiny bit of Stevia in them, the majority of sweetness comes from sugar alcohol, Eryyhritol, AND the gas inducing, stomach achingly horrible Inulin fiber, which wreaks havoc on GI system and causes major digestive upset in a lot of people. Its so disappointing they mislead the public and make you think they’re just “stevia sweetened”, when the truth is they use more sugar alcohols and inulin than Stevia, as Stevia is listed after these ingredients, which mesns they use more of the others. I cant eat more than a few chips w/o experiencing digestive upset. 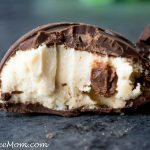 The recipe would be perfect if one could find a truly Stevia only sweetened chip! Sorry to hear that! I love the chocolate chips, but I did mention in the notes, those are optional. 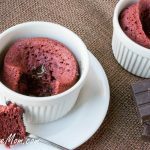 You can make this with 80% dark chocolate which is low in carbs. 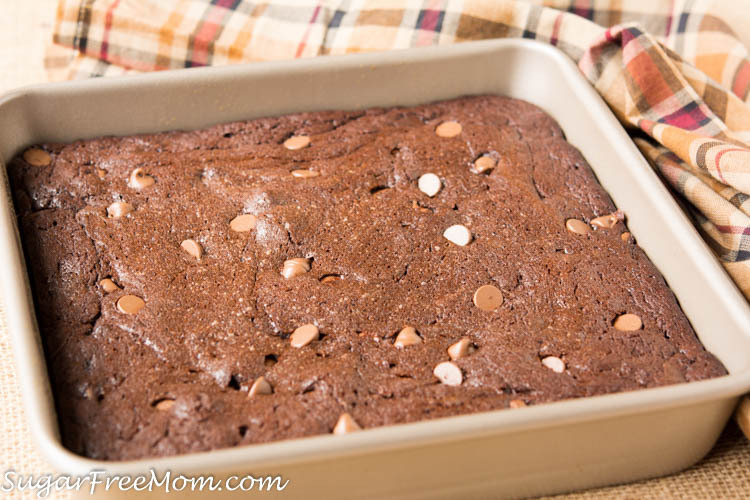 You can use unsweetened baking chocolate too, and use pure monk fruit powder to make up the sweetness. I don’t like stevia, so I omitted the liquid chocolate stevia. I also used half unsweetened chocolate. 1 1/2 tsp of monk fruit powder should be enough to replace the sweetener in the chocolate chips and the liquid stevia (but not enough to replace the granular sweetener). I think they would freeze fine then you could reheat 1 piece for maybe 20-30 seconds in microwave. Do these have a cooling sensation from the eryritol? That’s the biggest turn off when using it for a lot of recipes that shouldn’t have that “cool” taste. If a baked good has that cool sensation, pop it in the microwave for 8-10 seconds, just enough to slightly warm it. The cool sensation disappears when the brownie/cake/cookie/pie etc. is warm again. I don’t have chocolate stevia nor chocolate protein powder, only the regular and vanilla. Could I just use those and add some more cocoa powder? And how much would you recommend? plain stevia and protein powder will be fine, no I would not add more cocoa powder that might only dry out the brownies. 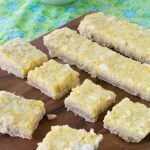 I made these and they taste great! However the texture is really odd. Last night when warm they were too mushy to cut and pick up, and today they’re too crumbly to pick up! Is that normal or should they be a little more sturdy? I did weigh my ingredients. Only change I made was to use half erythritol and half Tagetesse for the sweetener. Do you think that was the problem? For now I’ll enjoy my brownies with a spoon lol. Mine came out the same way. I even left them in the oven an extra 5 minutes until the top at least looked dry. Fantastic flavor, but mushy rather than chewy-gooey. It’s 2 eggs plus 1 yolk. I made these last night, with a couple substitutions: used 4 oz of Lily’s chips (so I could mix the rest into the batter), 4 oz baking chocolate, no liquid chocolate stevia, instead used 3/4 tsp monk fruit powder. I also used coconut cream instead of dairy cream. I used plain rice protein powder and added 1 tsp of black cocoa. I used 1 tsp of espresso powder for the instant coffee. I melted the coconut oil along with the butter and chocolate, then added the cocoa powder so it could soak up some oil. In a measuring cup, I mixed the eggs and vanilla into the “cream.” Then I used a hand mixer to dissolve the SukrinGold into the liquid ingredients. I quickly mixed up the dry floury ingredients sitting in the chocolate pan before pouring the “cream,” egg, and sweetener stuff in. The batter came together beautifully, and tasted very encouraging. I baked for 30 minutes (5 extra) until the top was at least dry. They were too soft to hold their shape while warm (even waiting 15 minutes). I put them (and the baking pan) in an air tight container while still warm. 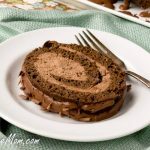 This morning, the texture was firm, truly fudgy, and a real treat. I will definitely make these again. These have NO cool sensation, even at room temperature. My picky mother even commented on how good these are (not weird like my usual low carb cakes). So glad that I found this recipe. 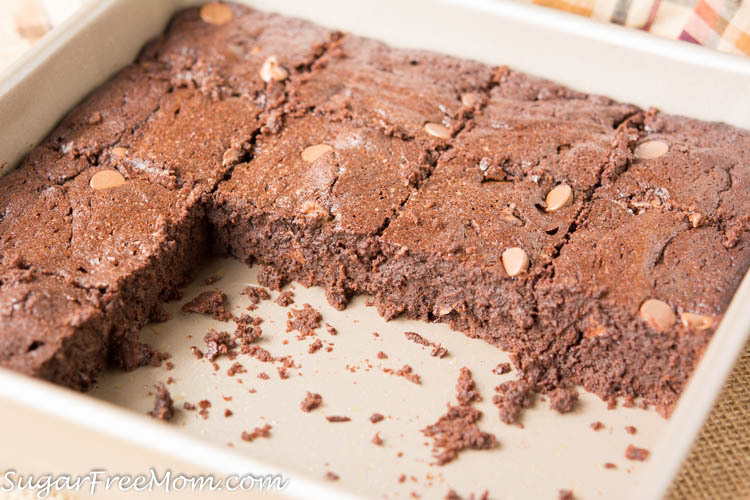 My son has a but allergy so I’ve been searching for a good brownie recipe with coconut flour!